Sorry for the lack of posts, scarce commenting and general low blogging mood lately. Must be the winter blues. Good thing is I finally picked up my Canon from the camera doctor earlier today and now I'm ready to roll again baby! 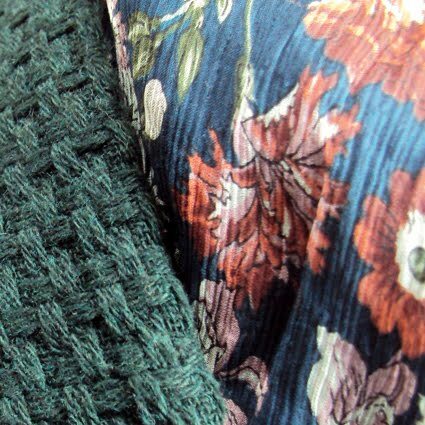 Till then, here's a small detail pic of an outfit from last week, featuring my green wool coat by Attrattivo and that blue floral silk chiffon dress by Massimo Dutti I wore back then. I have to take mine to the same doc, apparently...Μην σκας, καλέ. Εδώ είμαστε και περιμένουμε! Hope camera's all good now! enjoy the sunshine lovely and keep smiling!